P and I had very different ideas of what we were looking for when we bought our house but after a broad search we moved 50 metres! My parents did the same when we were small. It just goes to show what you are looking for is often right under your nose! Do you find this to be true? 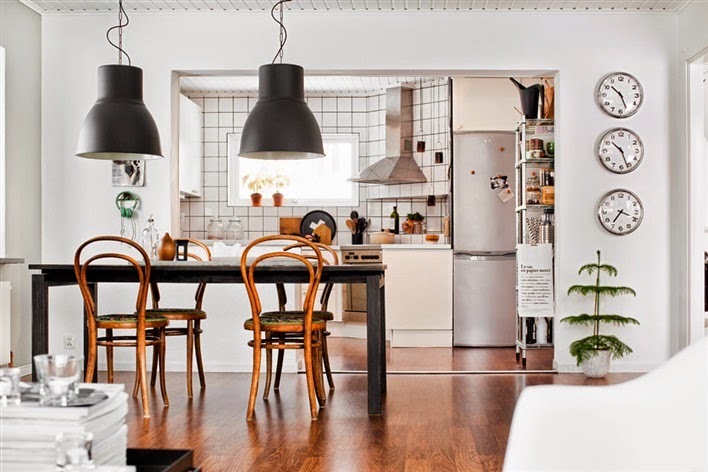 Swedish pair Lina and Andreas Kanstrup were planning a new build when a house came on the market 100 metres away. They were sceptical but the moment they walked in the door they knew it was right and all building plans went out the window. They renovated their new house from scratch learning lessons on the way and relying on gut instinct. I think the end result is fabulous, don't you? Photographer: Lina Östling (with kind permission). 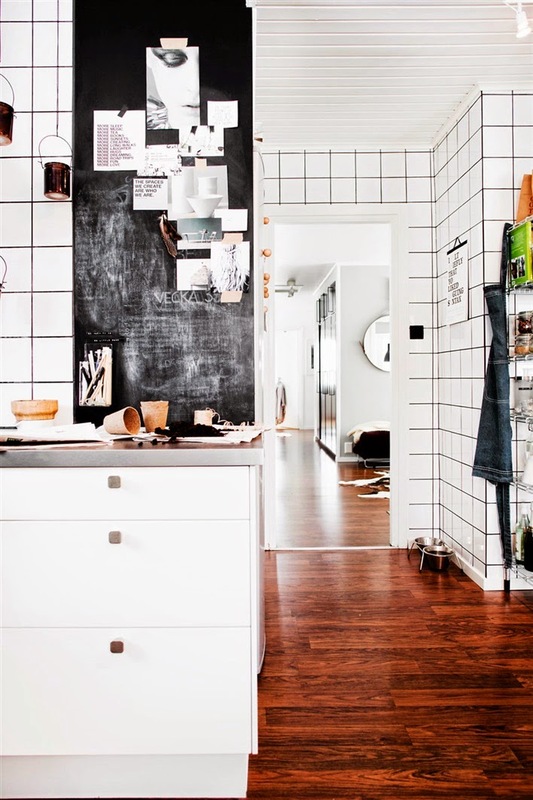 Styling: Johanna Flyckt. Hus o Hem via Decordots. Who knows, maybe your dream home is a few metres from where you live (unless of course you already live there)?! 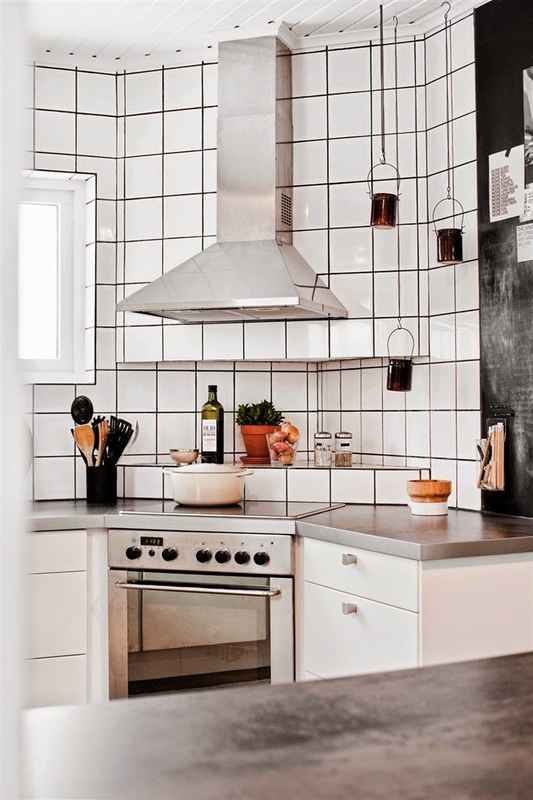 There are so many things I love about Lina and Andreas home, including the open plan kitchen, mix of vintage and modern and the monochrome look. I spy: Kitchen: Cabinets, lights, metal shelf, firdge, fan, stove all IKEA. Tiles are gloss 15 cmm x 15 cmm. 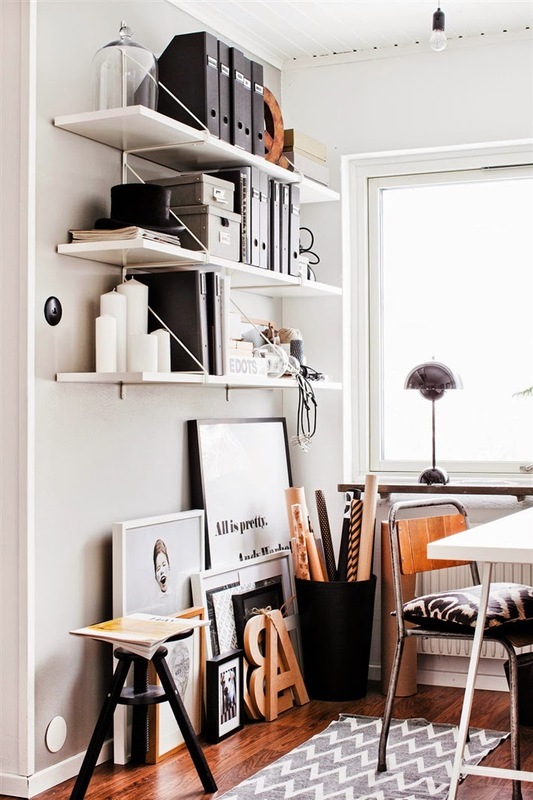 Thonet chairs (15% off with code MYSCAN). Lanterns. Office: Desks and shelves from IKEA. Flowerpot lamp. 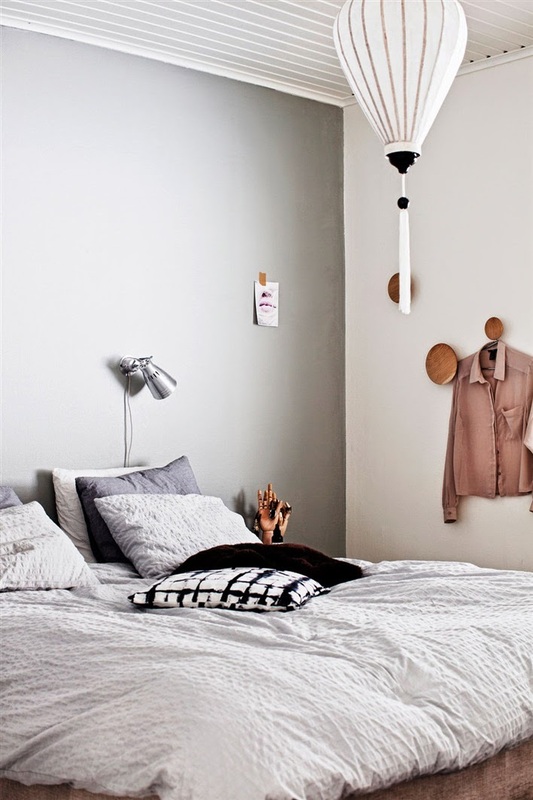 Bedroom: Muuto Dot hooks. 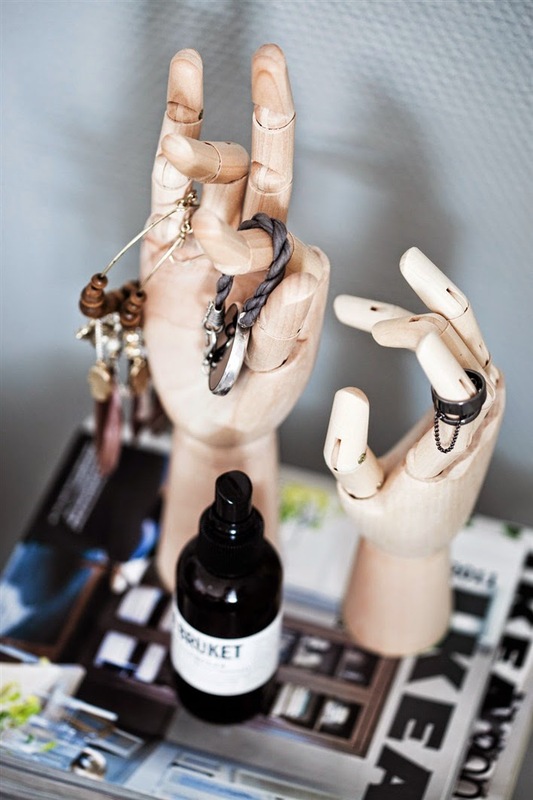 Hand sculpture. Is there anything in particular you love about this home? Click here for more pictures (including one of their adorable dog Rufus) and the full article. Oh and thank you to the team at Good Homes magazine UK for featuring me in their May edition and also to Garmentory for publishing an interview with me here. Exciting! I really like these changes and it certainly brightens up your kitchen One thing I noticed is the placement of your electrical plugs - I love how they are up high and a bit hidden - with all of our wonderful technology, you would think that someone could come up with a great idea on how to hide these! I love the chairs on the first picture! They are gorgeous, actually all these picture are adorable, a true inspiration! !